According to a study by the Center for Cyber Safety and Education, by 2022, there will be a shortage of 1.8 million information security workers. 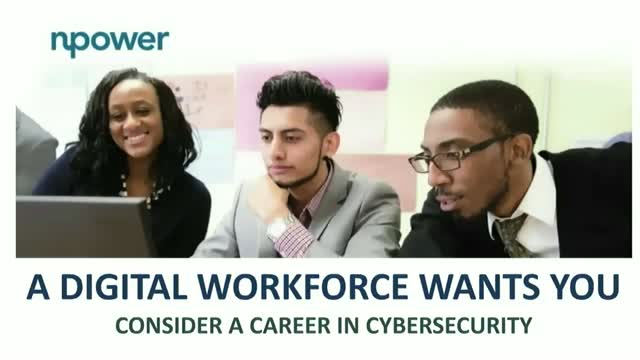 Key influencers like teachers, parents, state and local officials are encouraged to join this webinar to learn more about this growing field and how to engage youth in pursuing cybersecurity careers. Patrick G. Cohen, VP, Strategic Partnerships, NPower, Inc. Presented by: Patrick G. Cohen, VP, Strategic Partnerships, NPower, Inc.